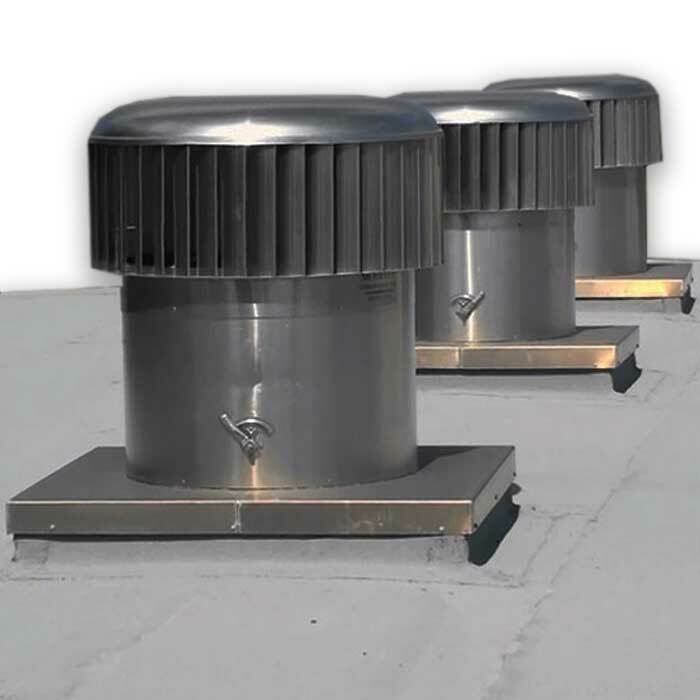 The GreenRoo turbine vent is an industrial ventilation solution from Moffit Corp. The company has constructed this rotary vent using light-gauge, aluminium-grade material. This makes this vent incredibly durable and light-weight at the same time. Moffit Corp claims that the vent is so light-weight that it can rotate even by the currents of the warm air from the ceiling space alone. Moffit Corp offers this vent in a number of throat size options, including 12 inches, 24 inches and 36 inches. The aluminium construction of the turbine is corrosion-resistant, so it is perfectly suited to most industrial environments. Inside the vent, Moffit has used a stainless steel shaft for structural reinforcement. The turbine rotates by using high-quality anodized steel bearings which are self-lubricating and require no maintenance over time. The great thing about this vent is that it adds a very little wind load to the rooftop. As a result, no additional reinforcements are required during the installation of the vent. In fact, Moffit claims that this vent can replace a roof exhaust fan by fitting into the very same opening. This makes installation a very easy and affordable process. GreenRoo comes with a number of optional features as well. You can choose from a variety of powder coating types. The throat size can be extended and various dampers can be incorporated into the design. The design of the vent is completely weather-proof. So it effectively prevents rainwater from entering through the opening. It is also self-flashing, so installing the vent on a sloped roof is a breeze.